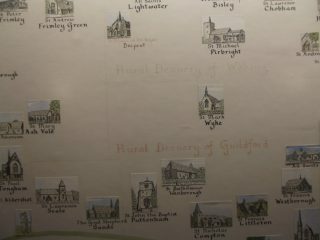 Within Guildford Cathedral Archives we have a collection of church drawings that were donated by artist John Clark. These are intriguing pencil drawings of churches throughout the country and some within France. As a child I remember looking at the gaunt shell of the Cathedral…. It used to fascinate me: how could this ever be a cathedral? As a schoolboy he remembered Eleanora Iredale visiting encouraging the children to enter the ‘Cathedral in building’ competition. 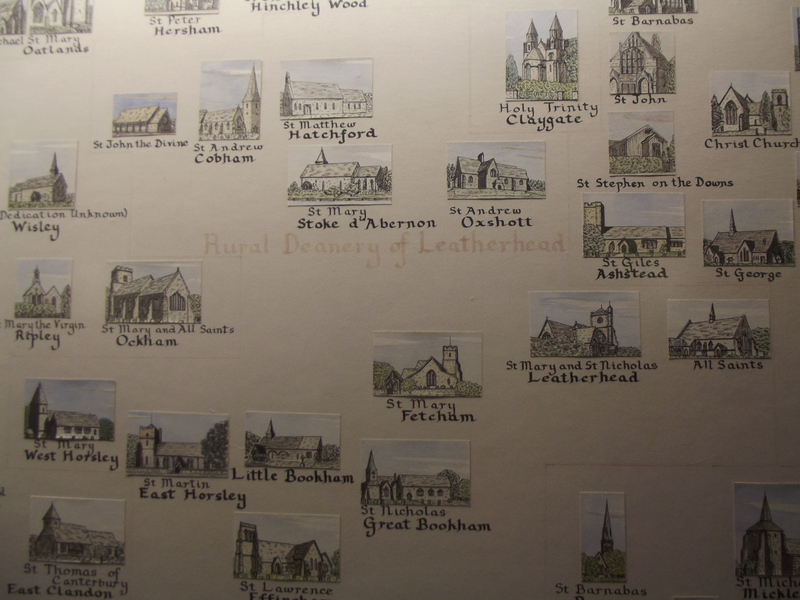 From then on he became fascinated with church architecture, he received photographs of all the churches from the parish and from these photographs he produced sketches which went together in 1954 to produce a map. 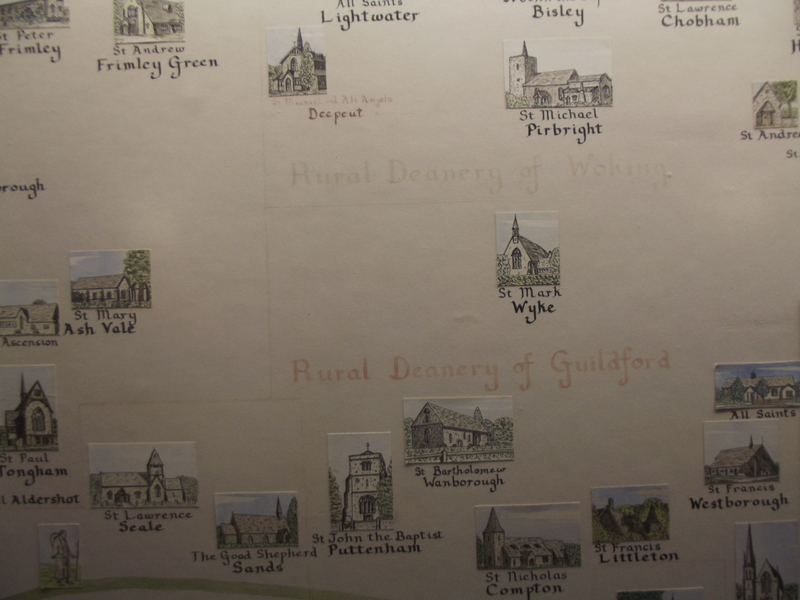 This map is now on display in the Cathedral in the North Ambulatory. 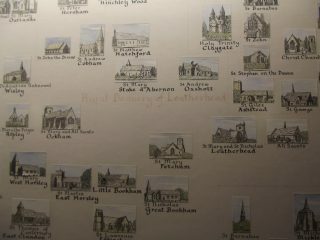 In 2000 he decided to do the map again so went around the parish to take photographs and produced an updated map. This map is on display in the Treasury. 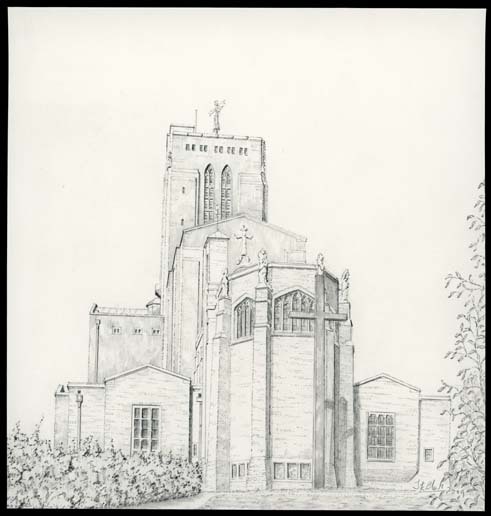 He has donated some of his archive of drawings to the cathedral, which are now fully catalogued and able for you to search.